Pioneer Pools friendly knowledgeable staff put me at ease with making all the decisions necessary in putting in a pool. 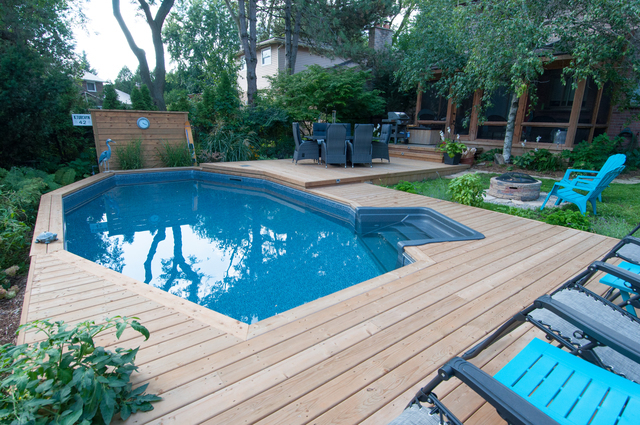 They were able to work well within my budget and helped me through my entire planning process which in addition to the pool itself included fencing, electrical and gas line installation and decking. If you need help in finding a contractor to complete work that they don't do themselves they have professionals that they have worked with before and found to be reliable that they can put you in contact with. This helped tremendously with my installation as the outside contractors were familiar with Pioneer Pools and their installation methods. Pioneer Pools crew showed up on time when they said they would even though it was snowing! They worked through the snow and mud and completed the installation as they said they would. But they didn't walk away then. They have someone who takes you to "Pool School" and spends several hours with you making sure you understand the workings of your pool. Everyone I came in contact with was very pleasant and helpful. I would highly recommend Pioneer Pools.